A solid brass desk lamp with shade, combining practicality with classic good looks. 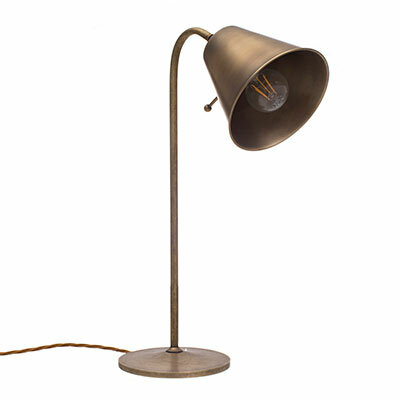 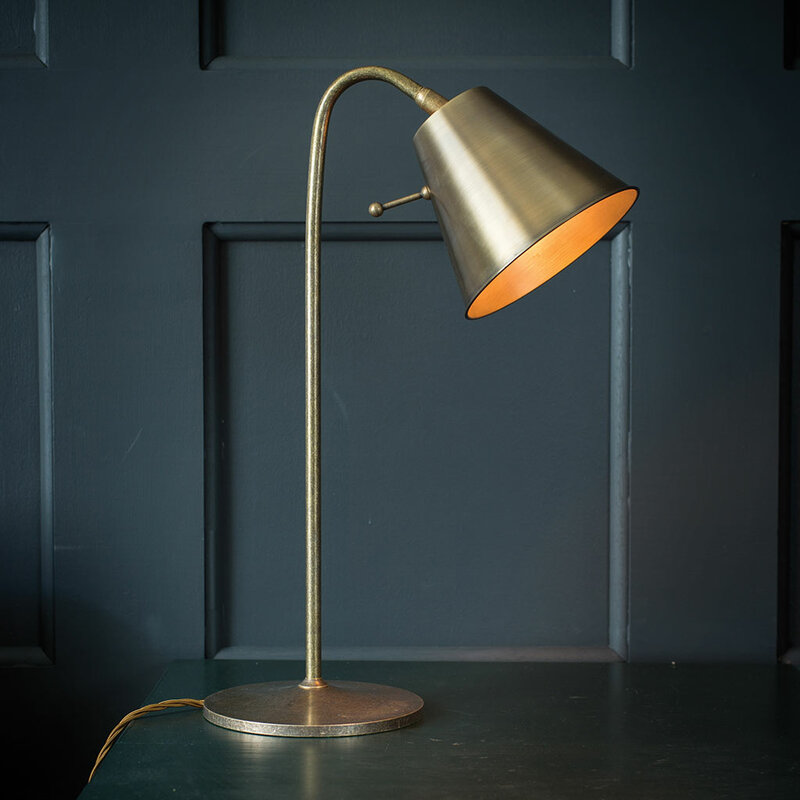 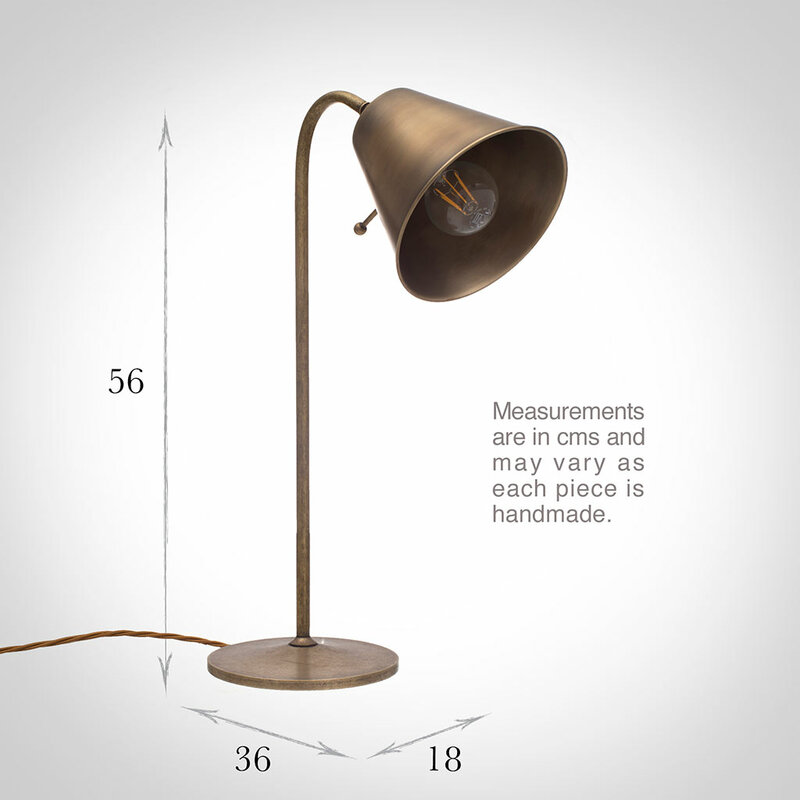 Featuring a spun brass shade, which moves on an elbow joint so that it can be angled for task lighting, making it very practical whether it is in a study, on a small desk or even a kitchen work surface. 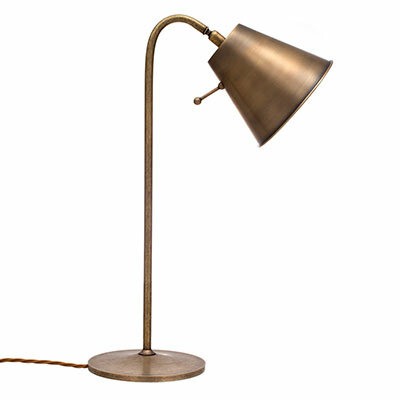 The brass is given a lightly antiqued finish. 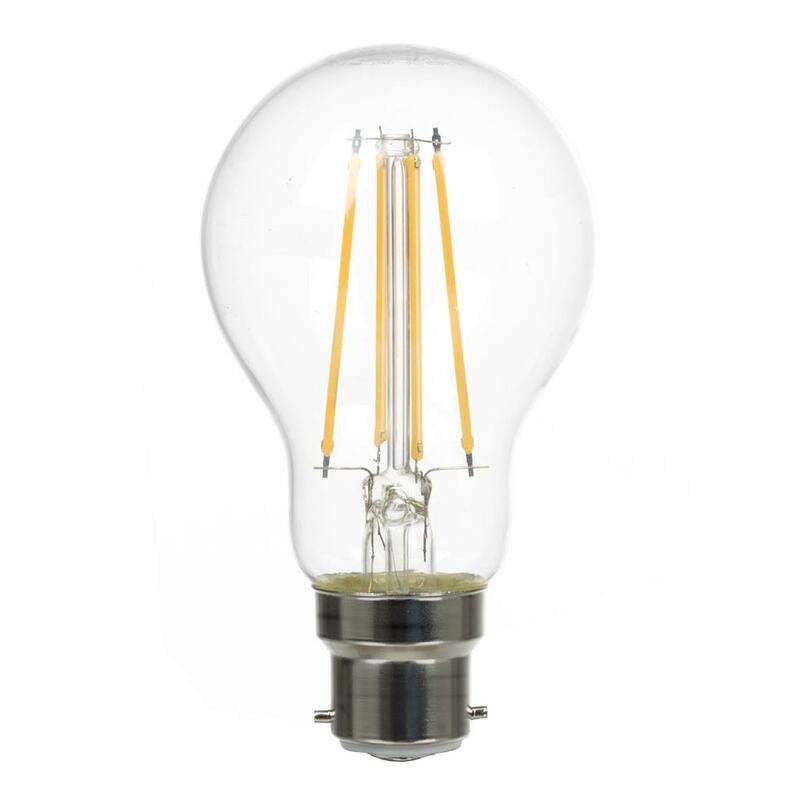 Fitting Option: can be supplied with an E14 (small edison screw) bulb for Europe on request, please call for information.